Emergency restoration works at 1,195 river facilities in four months. 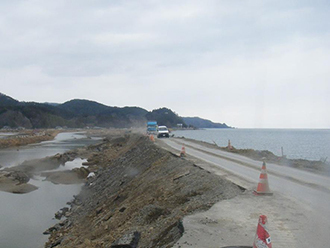 The emergency restoration works were undertaken for severely stricken river levees which had lost their original form, etc. The massive earthquake and tsunami also devastated rivers. 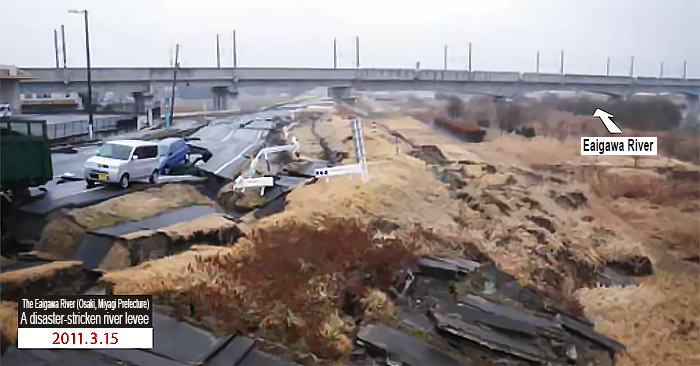 In nine rivers of five river systems within the jurisdiction of the MLIT Tohoku Regional Bureau, 1,195 facilities, such as levees and sluiceways, were damaged. 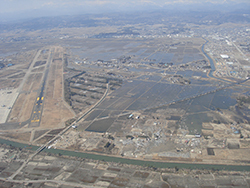 The damaged facilities were temporarily restored immediately after the earthquake, in order to prevent a secondary disaster. Among others, 29 severely affected facilities underwent the “emergency restoration works”, which reinforced the facilities with additional embankments or concrete blocks. 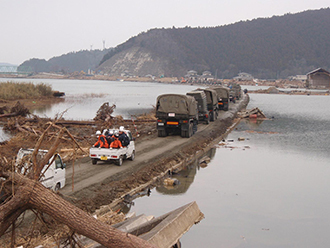 The first emergency restoration works were completed in the Eaigawa River on April 2, and all other emergency restoration works were completed by July 11. 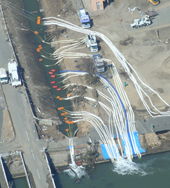 Traffic route was restored at road levees. 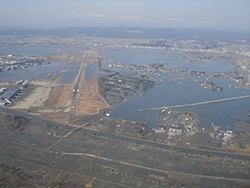 Levees became emergency transportation routes. 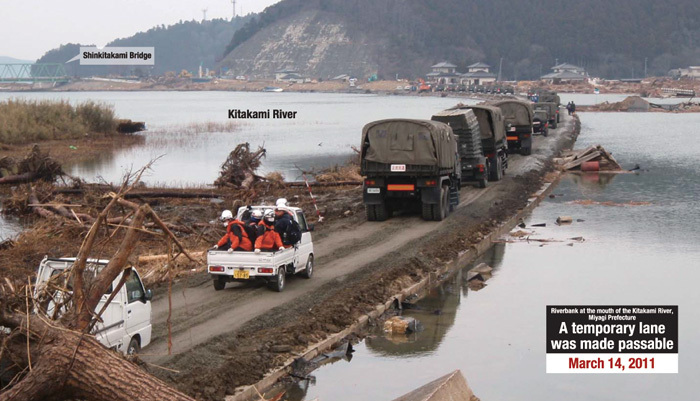 Priority of restoration works was given to the river road levees, which facilitated transportation of emergency relief supplies. As a result, some villages were isolated, and rescue operations were suspended. Priority of restoration works were given to the works to secure a space just wide enough for a car to get through. On March 14, temporary one-lane traffic was restored. This has facilitated traffic of emergency vehicles and transportation of emergency relief supplies, leading to greater support to the affected areas. Restoration of similarly affected river road levees was also undertaken, while priority was given to the restoration of traffic.